It may have been well intended, but a new fund to help financially distressed BC Hydro customers is not going over well with ratepayers who have to foot the bill. “I was outraged,” Dennis Alexander said after seeing a new charge on his hydro bill. 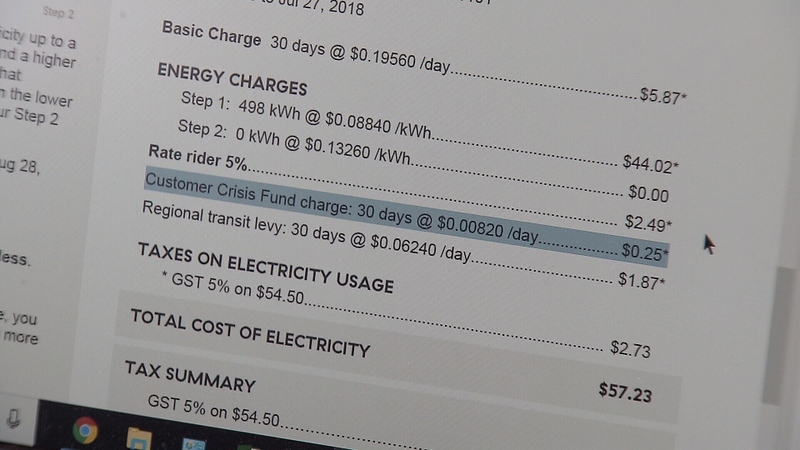 The charge starting showing up on bills in a line item called the "Customer Crisis Fund" at a monthly cost of 25 cents. That amounts to $3 per year for each ratepayer. It’s a fee that all customers now have to pay to help those falling on hard times and get behind on their hydro bills. “And it’s a one-time grant of up to $600 to help people pay off their bill if they are facing disconnection, whether that’s the result of job loss, loss of a family member, injury or illness,” said BC Hydro’s Mora Scott. The fund is expected to generate $5.3 million a year and customers who are eligible can apply to receive the grant every 12 months. In just three months, BC Hydro says it’s handed out about $230,000 in grant money to those who qualify. “It’s not the money. The amount isn’t going to hurt me. It’s probably not going to hurt anybody, but I don’t think it’s appropriate. 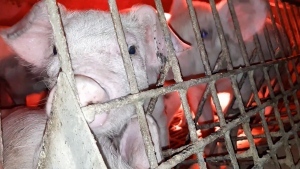 I don’t think it’s appropriate for them to be in that business,” said Alexander. He said BC Hydro should be in the business of providing power and the money it collects from customers should be used for that not to provide social assistance to rate payers. CTV News has been getting complaints from other customers who called the move "a frightening prospect of things to come." "We all have the right to decide what we want to donate to," another commenter said, and another said "this should never have been forced on customers." BC Hydro customers were not consulted in advance. The BCUC ordered BC Hydro to establish the fund after a rate design hearing in 2015 when the British Columbia Old Age Pensioners’ Organization made a plea for assistance for customers facing financial difficulty. But the BC Utilities Commission is getting a lot of feedback from ratepayers now. “Whether people were consulted or not. Concerns about it looking like a tax. Concerns about it being a social assistance program,” said BCUC chair and CEO David Morton.. The pilot project is supposed to run three years and be reviewed after the second year, but that will now change. “In light of the concern that I’m hearing expressed, I’ve asked my staff to look into accelerating that review and doing it after the end of one year,” Morton said. It’s hoped that over time, the Customer Crisis Fund will save money for all ratepayers by lowering the losses typically associated with disconnecting and reconnecting delinquent accounts. Typically, power companies absorb those costs and that get reflected in electrical rates. Morton says by establishing the fund and showing it on your bill, the cost is more transparent. However, there is a cost to establish the fund and administer it which is expected to be about $1 million or 20 per cent of the money collected. In contrast, FortisBC has not been ordered to establish a crisis fund and actually objected to one being established for BC Hydro customers, saying there are other community resources to help those in financial need.